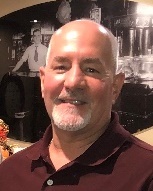 Obituary for John P. Springer | Harold M. Zimmerman And Son Funeral Home Inc.
John Paul Springer, age 58, of Greencastle, PA died unexpectedly at his home on Tuesday, November 13, 2018. Born April 25, 1960 in Franklin County, Pennsylvania, he was the son of the late John O. and Miriam (Hissong) Springer. John was a welder and worked for Jerr-Dan and JLG, an Oshkosh company for over 33 years. He was a 1978 graduate of James Buchanan High School in Mercersburg. John was a member of the St. Stephen’s Lutheran Church near Greencastle and was a member of the Sons of the American Legion Post #517 of Mercersburg. His interests included NASCAR, watching football, riding his motorcycle and spending time with family and friends. Surviving family are his two sons Jordan Springer and his fiancée Cree of Waynesboro, PA, Jantzen Springer and wife Brooke, of the US Marine Corps; one granddaughter, Aubrey Springer; three sisters, Deborah S. Walls of St. Thomas, PA, Linda L. Eiker of Greencastle, PA and Cathy A. Springer of Doylestown, PA.